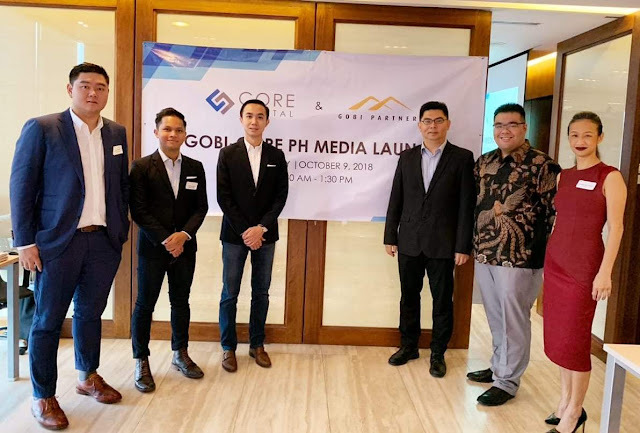 Core Capital has partnered with Gobi Partners, a top Asian venture capital (VC) firm with over $1.1 Billion in Assets Under Management (AUM), to launch a $10 Million fund dedicated to supporting seed-stage and pre-Series A companies in the Philippines. The Gobi-Core Philippine Fund (the PH Fund) will be co-managed by Core Capital, a new VC based in the Philippines founded by Carlo Delantar (Forbes 30 Under 30 Asia 2018), Jason Gaisano, and its Managing Partner Ken Ngo. The Fund’s initial focus is on B2B e-commerce, platform-as-a-service (PaaS), health tech and logistics companies, and plans to expand into others sectors including travel, entertainment and retail tech in the future. Gobi Partners, led by its Founding Partner Thomas G. Tsao, its managing partner Kay-Mok Ku, and supported by its teams across China, Hong Kong, and Southeast Asia will contribute its proven track record, tested processes and best practices to provide fund administration, advisory and investment support to this new partnership. Both Core and Gobi believe that there’s more to this partnership than just the establishment and management of the PH Fund. Now, Philippine-based startups will have access and can also leverage not just on Core’s vast Philippine network and business operating experience but also Gobi’s regional platform to help them scale across China and other Southeast Asian countries. Despite its 16-year history, this will be Gobi’s first entry into the Philippines and the newly launched PH Fund shall act on Core and Gobi’s belief in the favorable timing, the potential of the country’s economy and the growing purchasing power of its young population. Founded in 2018, Core Capital is a venture capital firm in Manila, Philippines. Core Capital provides early-stage financing for technology companies with a focus on the Philippines. The firm invests through its first fund the Gobi-Core Philippines Fund, co-managed with Gobi Partners. Gobi Partners is the first Chinese venture capital firm to expand into the ASEAN region. The firm’s regional platform supports entrepreneurs from the early to growth stages. Founded in 2002, Gobi has raised ten funds to date, invested in over 200 startups, and has grown to eight offices across Beijing, Tianjin, Shanghai, Hong Kong, Bangkok, Kuala Lumpur, Singapore, and Jakarta. 29F BDO Tower, 8751 Paseo de Roxas St.